Richard Hardin's GPWF: Jesus Was Not In The (OT) Prior To His Birth! ***** I will discuss mercy, then the relationship of mercy and truth in the Old Testament (OT) which shows that Jesus did not live or serve in the OT, except for the days He walked on earth. Jesus only became exalted to the fullness of Godhead Trinity after His ... See More death and then became the third part of the Trinity after His resurrection. I will show from Scripture there was no grace in the OT: Grace and Truth came by Jesus. God and His Spoken Word, Christ, was the full expression of the Godhead in the OT, look at Psalms 25:10, "ALL the paths of the Lord are Mercy and Truth unto such as keep His Covenant and His Testimonies." and Isaiah 59:21, "As for Me, this is My Covenant with them, saith the Lord; My Spirit (Mercy) that is upon thee, and My Words(Truth) which I have put in thy mouth,..". When Jesus was exalted to the fullness of the Godhead, the Trinity of God came into existence: God the Father, Jesus the Son and Their Spoken Living Word, Christ. This is very different than what is being presently taught as the "Christian World View." Jesus, the man, died on the cross for our sin sacrifice because the Spirit of Christ left Him when He cried out, "My God, My God, why hast Thou forsaken me? Jesus then died and paid the sin sacrifice for us! That is why God was so pleased with the man Jesus and exalted Him through just being our mediator, to being fully God in the fullness of the Godhead! 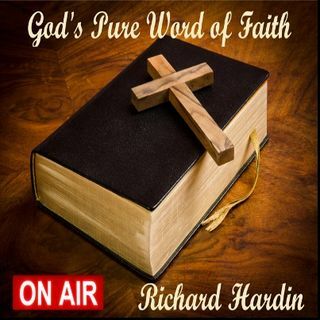 on @KLRNRadio.com 6AM CST Sat #GPWF #Christian & on rahardin.com anytime.